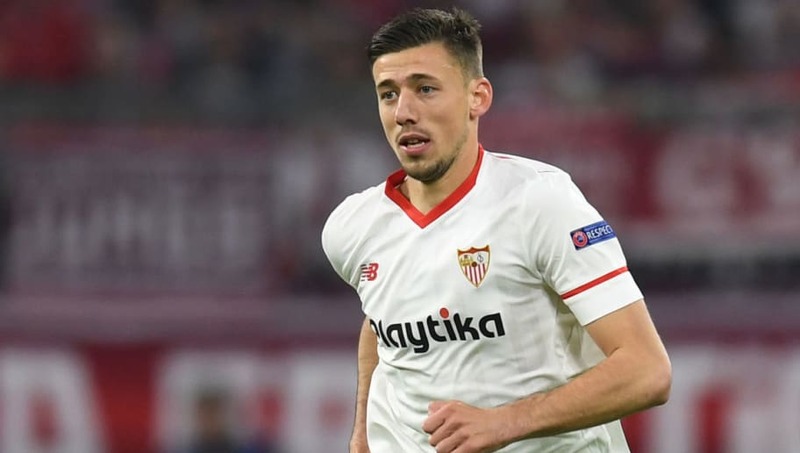 Barcelona are eyeing a summer swoop for Sevilla defender Clement Lenglet, according to reports in Spain. The 22-year-old has enjoyed an eye-catching spell since his €4.5m move from Ligue 2 side AS Nancy during January 2017, and has become a crucial part of Vincenzo Montella's set up at the Estadio Ramon Sanchez Pizjuan. And, according to ​SPORT, the Camp Nou hierarchy have been impressed with how quickly he has settled into life in ​La Liga and are looking towards the young Frenchman as an option for the future. ⚽️ Crazily enough, Sevilla have now made it 2-2 by scoring twice in four minutes. Defender Clement Lenglet got the assist for the first goal, and has been good throughout the game. The centre-back proved to be one of renowned sporting director Monchi's final signings for Sevilla before his move to AS Roma in April 2017. Since then, the club have gone on to raise Lenglet's buyout clause, a mandatory requirement in Spanish football, from their initial €30m evaluation to €45m. However, there is speculation that Sevillistas Los Rojiblancos are attempting to increase that figure once again in the hope of warding off any interest, although ​Barca are said to have already contacted the player's agent to express their interest to prevent that from happening. Josep Maria Bartomeu and his associates see several similarities between the 22-year-old and Samuel Umtiti during his first 18 months or so in Spain's top-flight. However, their pursuit of Lenglet is not linked to the 24-year-old's reported desire to leave the Camp Nou due to a breakdown in salary negotiations, with the Spanish champions-elect expecting the France international to secure his future in Catalonia in the coming months. ‼️ FC Barcelona are set to activate the €30m release clause of Sevilla's LCB - Clement Lenglet. He is turning 23 this year and his best traits are marking, passing and positioning. Umtiti's renewal has also begun and both the Club and Umtiti are on a good terms to agree. Barcelona will have the opportunity to see the Sevilla defender up close and personal once again next weekend when both sides collide in the Copa del Rey final on Saturday evening.